What does the Big Bang theory really say? “This artist’s timeline chronicles the history of the universe, from its explosive beginning to its mature, present-day state. Our universe began in a tremendous explosion known as the Big Bang about 13.7 billion years ago. A. Doesn’t describe “why” the universe exists. Asking “why does the universe exist?” sounds good, but it is vague, and may be loaded with a variety of assumptions. The word “why” assumes that there was some “reason”. Science is more about discerning cause-and-effect. B. It doesn’t describe what happened at the exact moment of creation. Only describes what happened a trillionth of a second after creation, up until now. But Big Bang theory science makes no claim about t = 0 exactly. C. It is not “just a theory.” Rather, it literally is a set of physics equations that make testable predictions. 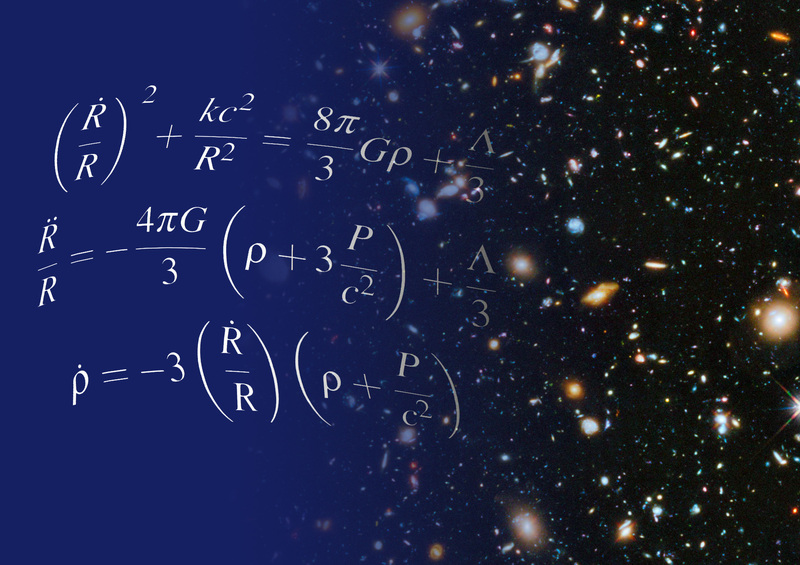 The Friedmann equations describe the expansion of space, and models of the universe. They were derived by Alexander Friedmann in 1922, from Albert Einstein’s general theory of relativity. Ralph Alpher, and Robert Herman, and later Yakov Zel’dovich, and then Robert Dicke created equations based on then-known physics and observations, which made predictions about the existence of cosmic microwave background. Prediction: expansion of the universe. Prediction: a Cosmic Microwave Background (CMB), at a very specific temperature. * Hydrogen (~72%), Helium (~28%), and other elements discovered as predicted. 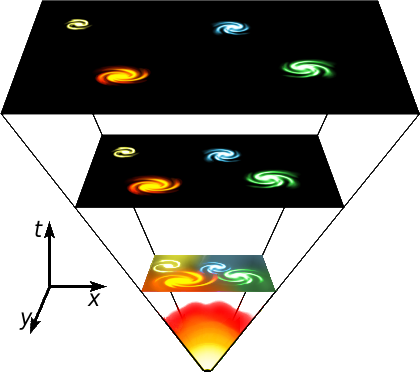 Prediction: Matter should clump into galaxies, and galaxies should clump into much larger-scale structures, reaching across our universe. Just like there is a cosmic microwave background, there also should be a cosmic neutrino background (CNB, CνB), also known as relic neutrinos. This is the last major area of research, as neutrinos are extremely difficult to detect from any source. 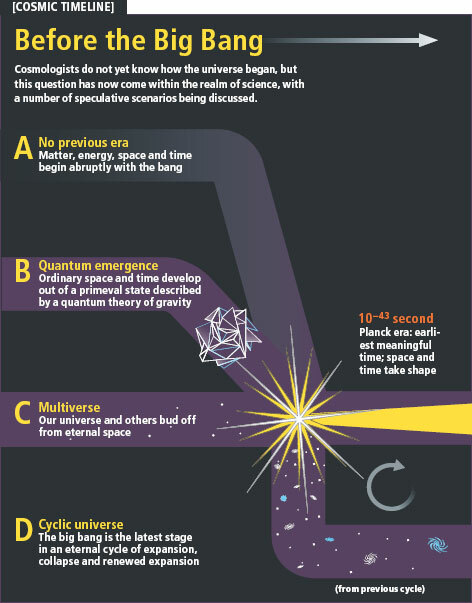 The CνB is predicted to have decoupled from matter when the universe was two seconds old. It is estimated that today the CνB has a temperature of roughly 1.95 K. Since low-energy neutrinos interact only very weakly with matter, they are notoriously difficult to detect, and the CνB might never be observed directly. There is, however, already compelling indirect experimental evidence for its existence. Progress in neutrino detection has been made over the past century, and neutrino astronomy is finally developing into a rich field. Current-day particle physics experiments provide quantitative evidence that is consistent with Big Bang equation predictions. The IceCube Neutrino Observatory (or simply IceCube) is a neutrino telescope constructed at the Amundsen-Scott South Pole Station in Antarctica. IV. 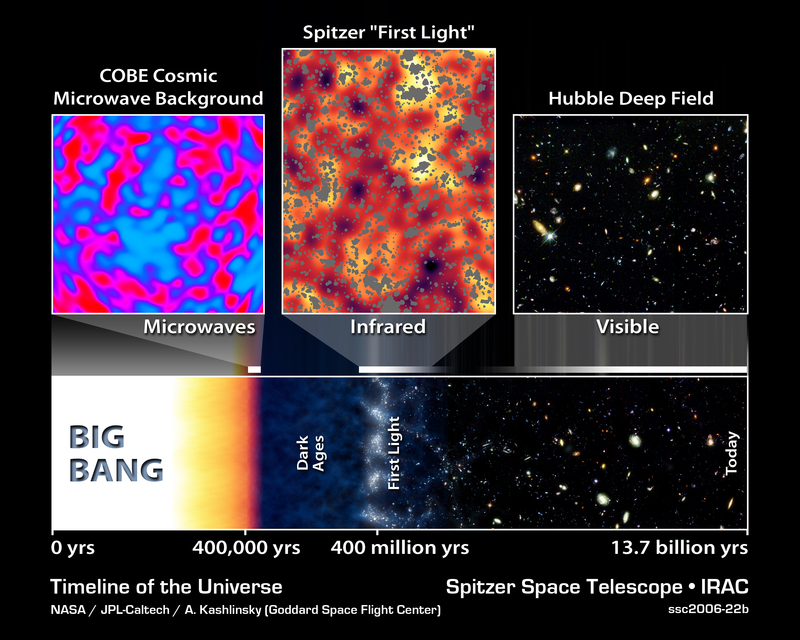 So what happened in the Big Bang? At one point in time, matter and energy, came into existence. We’ll call this time 0. Science makes no claims about this exact point. A trillionth of a second later this point inflated, at faster than light speeds, to become a much larger universe. FTL speeds are possible because the speed of light is a limitation in Special relativity. In Einstein’s Theory of General Relativity, for objects under extreme conditions, and spatially displaced, standard definitions of “length” and “time” do not correspond to classical definitions. With different definitions of length and time, we end up with different definitions of speed. We observe behaviors in conditions that are not like the present state of our local universe. 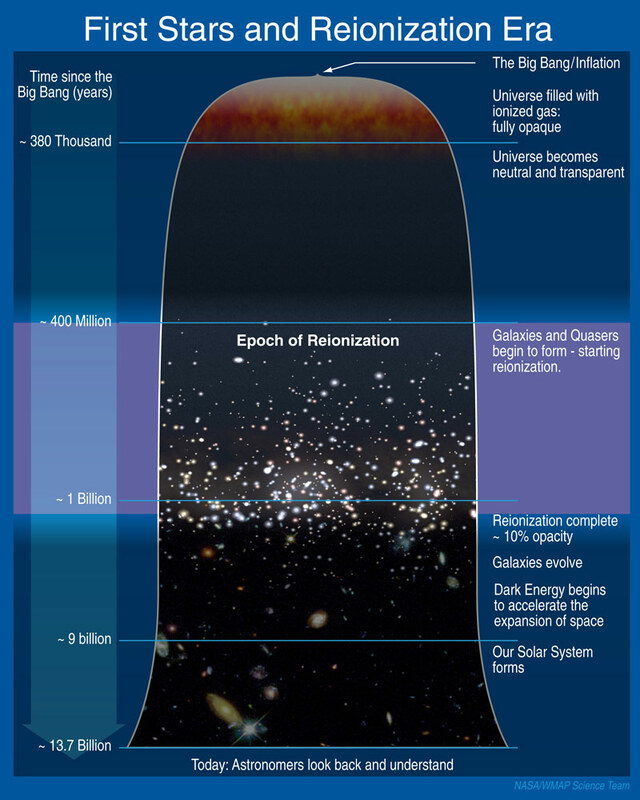 Why do we believe that some kind of cosmic inflation must have existed? What kind of problems does cosmic inflation solve? Energy and space kept expanding, the energy began cooling. Universe cooled enough so that high energy sub-atomic particles could exist. Universe cooled enough so that electrons, protons and neutrons began to form. Over millions of years, through gravity, these atoms formed into massive clumps. Over billions of years, clumps formed into galaxies. All this time, matter kept expanding away from other matter. Today, every part of the universe is still moving apart from every other part, and cooling. The Big Bang is still happening – and we are inside of it. We are still surrounded by the explosion, which is still cooling off – the Cosmic Microwave Background. Some people believe that the universe began at the Big Bang, and that our universe is the only one that has ever existed. Others believe that the universe is cyclical, and that universes existed before ours: those universes, it is hypothesized, collapsed and were replaced by later universes. 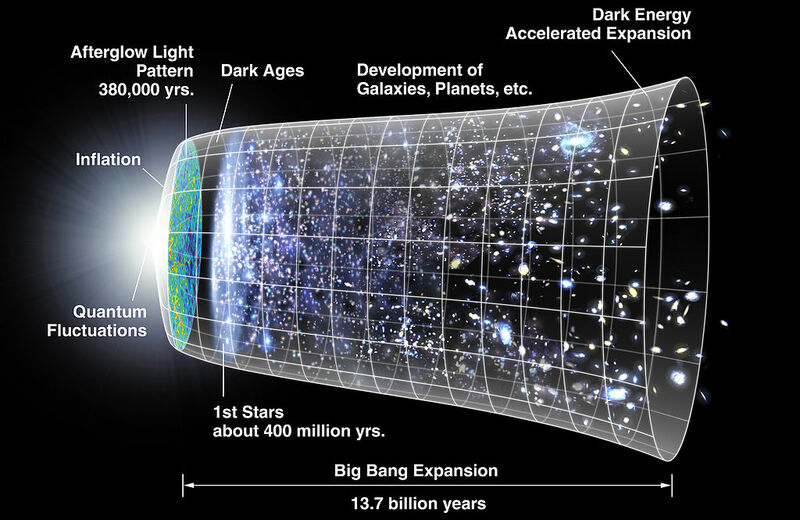 When Georges Lemaître, a Belgian physicist and Roman Catholic priest, first began to develop the Big Bang Theory (in 1927), many scientists assumed the former (this is the only universe that has ever existed) In this view, it makes no sense to ask “what happened before the Big Bang?” as there was no before. 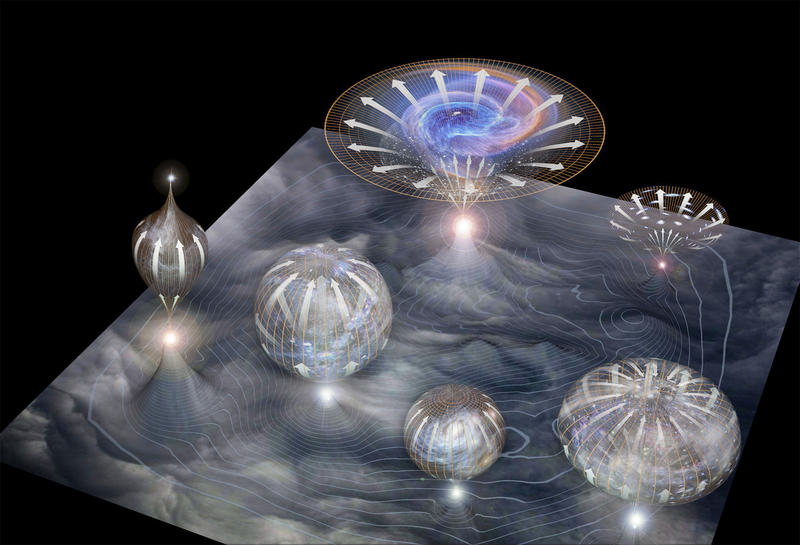 In more recent years, scientists have studied the possibility of a multi-verse. Our universe may not be the only one that has existed; perhaps others existed before our own, and others may exist after our own. Also, perhaps other universes – in some way removed from our own – simultaneously exist. In this view, one indeed may ask “what happened before the Big Bang?” as there was a time before our universe. We have no direct evidence of other universes, although astronomical and physics evidence, as interpreted through theories like Quantum Mechanics and General Relativity, does suggest that other universes may exist. As such, some physicists have developed models of how our universe may have been created, perhaps from the destruction of a previous universe, or perhaps ours branched off from some other. Big Bang for beginners-14: Does the Big Bang theory violate the second law of thermodynamics? 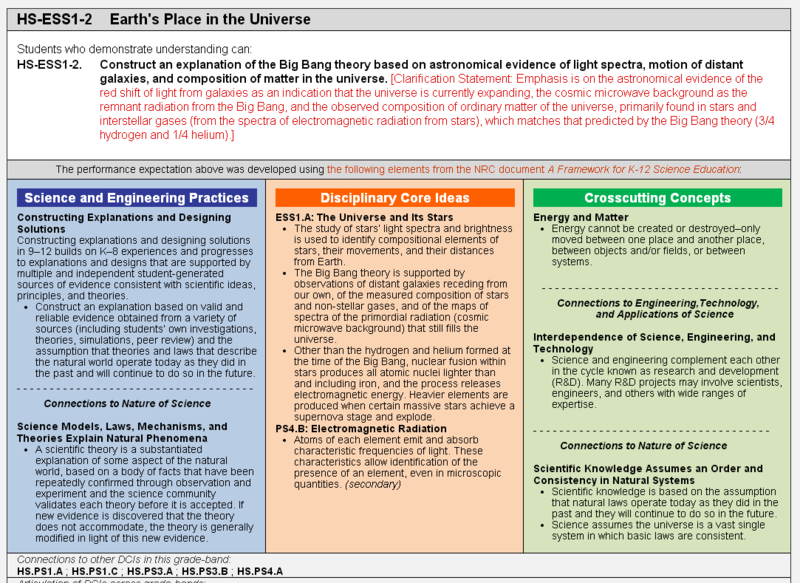 Big Bang for beginners-13: Does the Big Bang theory violate the law of conservation of energy? 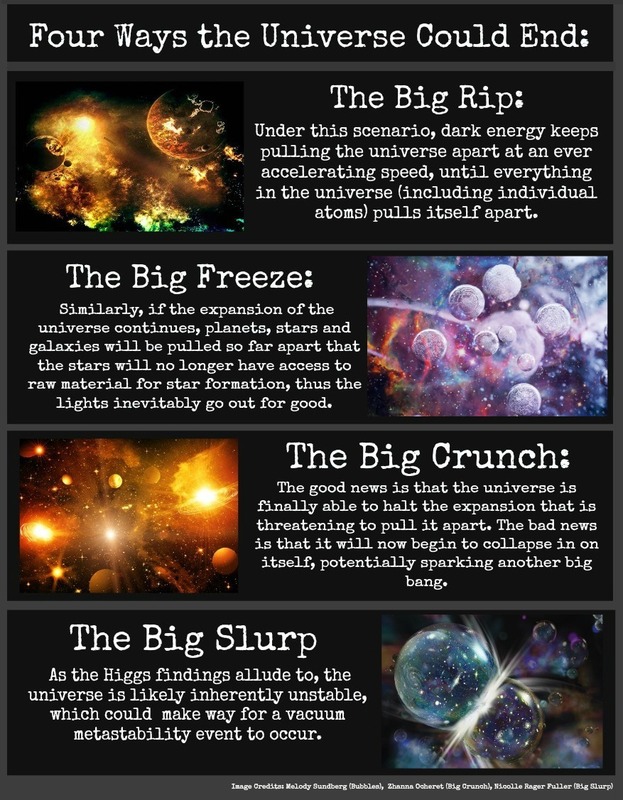 Evidence for the Big Bang. By Richard Carrier. Imagine a timeline of the universe, complete with high-resolution videos and images, in which you could zoom from a chronology of Egypt’s dynasties and pyramids to the tale of a Japanese-American couple interned in a World War II relocation camp to a discussion of a mass extinction that occurred on Earth 200 million years ago – all in seconds. One of the difficulties of teaching history –- and teaching Big History, in particular –- is conveying a sense of the time scale, which ranges from the 50,000-year time span of modern humans to the 13.7 billion-year history of the universe, Alvarez said. Human history compared to cosmic history is like “a postage stamp relative to the whole size of the United States,” he said. HS-ESS1-2. Describe the astronomical evidence for the Big Bang theory, including the red shift of light from the motion of distant galaxies as an indication that the universe is currently expanding, the cosmic microwave background as the remnant radiation from the Big Bang, and the observed composition of ordinary matter of the universe, primarily found in stars and interstellar gases, which matches that predicted by the Big Bang theory (3/4 hydrogen and 1/4 helium).